Maruti Swift Dzire fans should note down the date of February 1 as the covers will be unfurled over the new Maruti Swift Dzire CS on that day. The new compact sedan will have a design similar in nature to that of Maruti Swift Dzire and the new Maruti Swift hatchback that was launched in August 2011. Experts say that there are certain strong similarities between the new sedan and the D-0segment sedan from Maruti India, Maruti Kizashi. 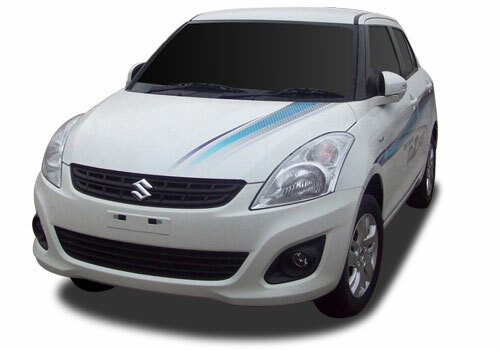 Maruti Swift Dzire CS price is 500,000 Ex show room price Delhi. Under 4 meters in length, Swift Dzire CS price tag is supposed to be around INR 4.5 Lacs. This might just be the first example of a compact sedan replacing the full sized model. The boot has been shortened to be in accordance with the sub-4 meter regulation. This gives the Dzire CS a look that is definitely much better than the previous one considering the latter garnered criticism for its ugly boot integration on what was essentially a Swift hatchback. It is probable that Swift Dzire CS will have the 1.2 Liter K-series engine for the petrol variant and a 1.3 Liter multijet engine for the diesel one. The compact sedan will be offered with a five speed manual gearbox and a four speed automatic gearbox that will only be available in the petrol model. It is expected that the new car will come in two variants for each engine version, VXi, ZXi, VDi and ZDi variants. There is also talk about the revamp of the interiors that surely point in the direction of the price increase that might disappoint few. The Swift Dzire CS will have plush beige interiors that appear a notch above on the new Swift.So, expect some fireworks in the compact sedan segment in a matter of two-three weeks as the new Maruti Swift Dzire CS will lock horns with the experienced Tata Indigo CS, the shortly joining Tata Manza CS and the upcoming Mahindra Verito CS.